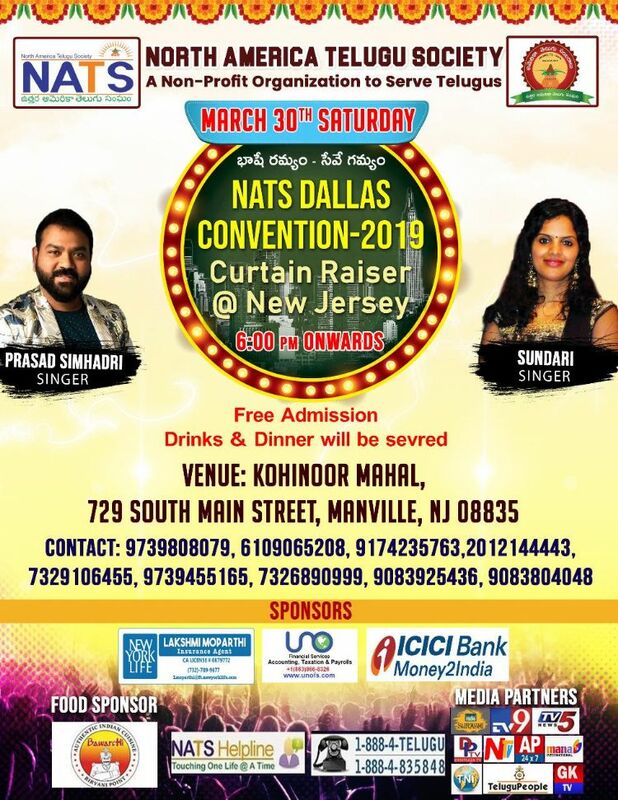 Manville, New Jersey: North America Telugu Society (NATS) is conducting a Convention curtain raiser event in New Jersey on March 30th. The event will be held at Kohinoor Mahal, 729 South Main Street, Manville, NJ 08835. As NATS is getting ready for it's biennial convention this year at Dallas, the organization is conducting curtain raiser events at various metro areas in the country. New Jersey curtain raiser is part of it, said NATS. The New Jersey event is free for all, and will have entertainment programs by wellknown singers Prasad Simhadri and Sundari.